The Europe nuclear medicine market has been estimated to register a CAGR of 10% during the forecast period, 2018 to 2023. The growth of this market is due to the increasing preference for SPECT and PET scans. Increasing incidence of cancer and cardiac ailments is the major driver of the market. Nuclear medicine shows a huge potential in treating cardiac and cancer diseases. According to WHO, it is estimated that 3.7 million new cases and 1.9 million deaths occur every year due to cancer, and cancer disease represents the second most significant cause of death and morbidity in Europe. Cardiology applications will continue to demonstrate strong growth in the market. Other factors, such as increasing SPECT and PET applications and growing public awareness for healthcare are also expected to drive the market in the future. Regulatory requirements pose another hurdle to translational research and clinical investigations. In Europe, all the guidelines for nuclear medicine products are coordinated by the European Association of Nuclear Medicine (EANM) and, including diagnostic radiopharmaceuticals and radio therapeutics, undergo regulatory procedures by European Medicines Agency (EMEA). Radiopharmaceuticals undergo unique regulatory and approval pathways. Sometimes, extensive toxicology testing poses considerable financial burdens for the investigators. Additionally, reimbursement hurdles for the manufacturers and high capital investment are also restraining the market growth. 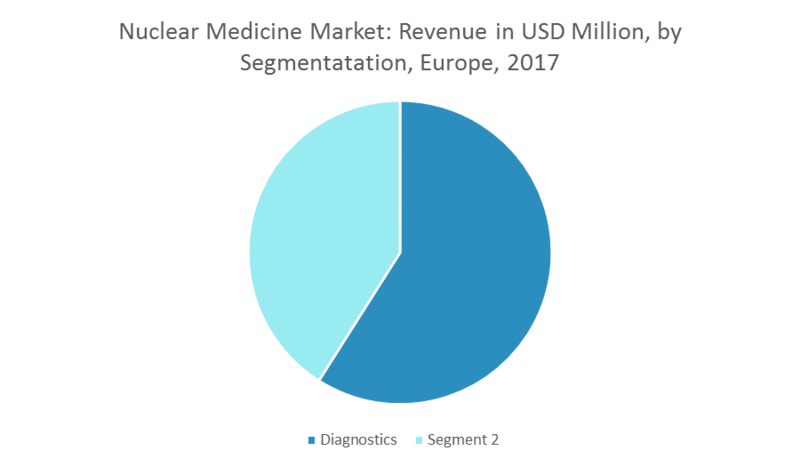 The diagnostic radioisotopes segment is expected to account for the largest share of the Europe nuclear medicine market due to the increased use of SPECT and PET for diagnosis of cardiac diseases, brain diseases, cancer, and many other diseases. April 2017: IBA Molecular and Mallinckrodt Nuclear Medicine LLC united created Curium - a world-class provider in nuclear imaging. January 2017: IBA Molecular had acquired Mallinckrodt Nuclear Imaging. Major Players: GE Healthcare, Lantheus Medical Imaging, Inc., Bayer Healthcare, Bracco Imaging SpA, Nordion, Inc., IBA Molecular Imaging, Advanced Accelerator Applications SA, and Cardinal Health, Inc., among others. 9.2 Lantheus Medical Imaging, Inc.